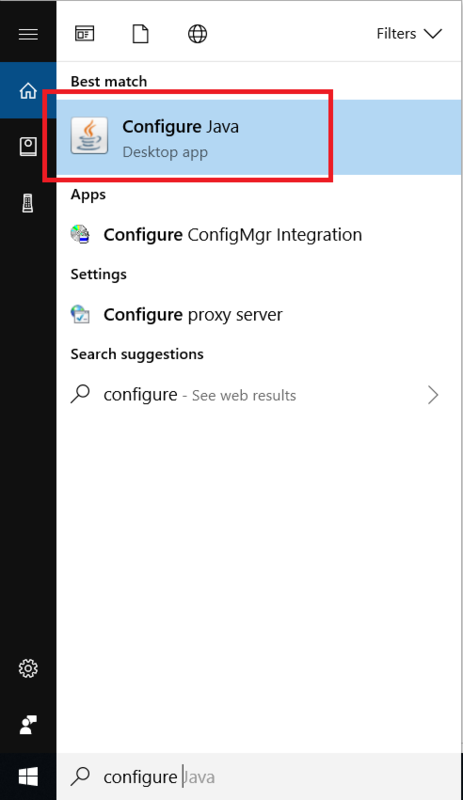 Type “Configure Java” into the search bar next to the Start Menu. 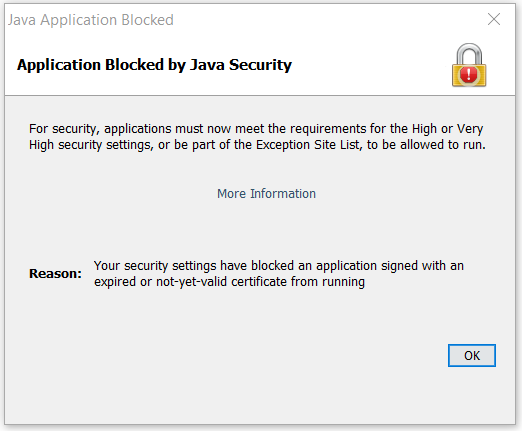 Click on the “Configure Java Desktop App” result. The Java Control Panel will open. Click on the Security Tab at the top of the window. 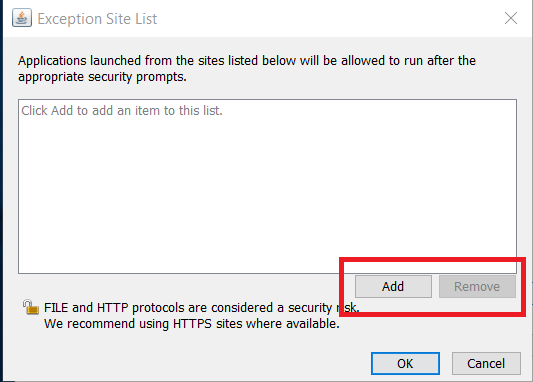 Under “Exception Site List” click the Edit Site List button. 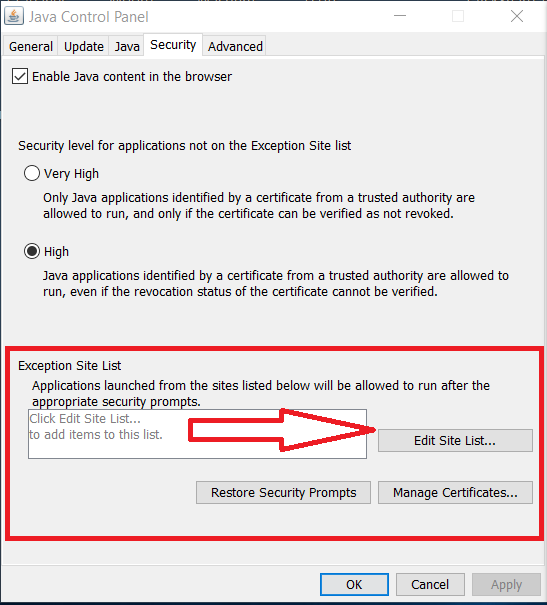 The Exception Site List window will open. From here, click the Add button. A location field will be available. Click the Add button. A Security Warning window will pop up. Click Continue. 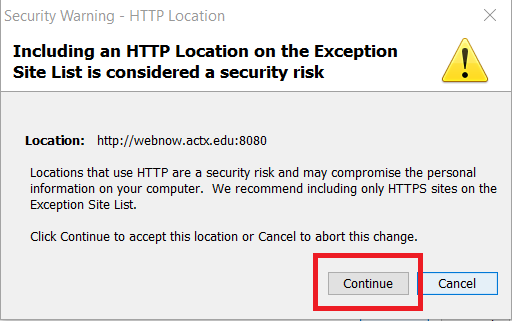 You will be taken back to the Exception Site List window. Click OK to continue. 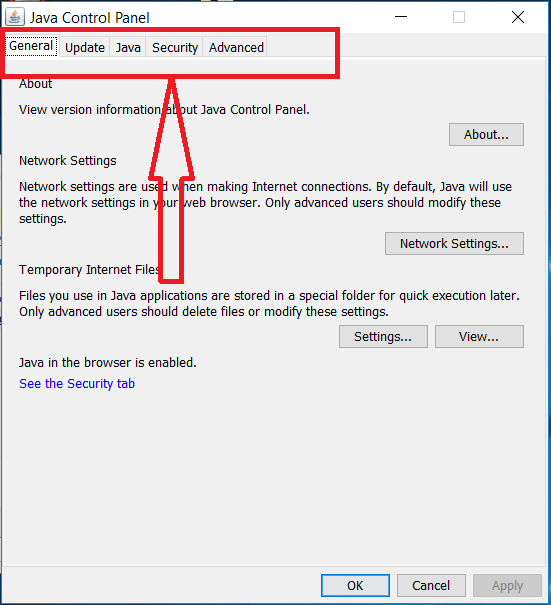 On the Java Control Panel Window, click OK.
WebNow has been added as an exception. You will now be able to access it from your browser. To proceed, YOU MUST close all open tabs and restart Internet Explorer. 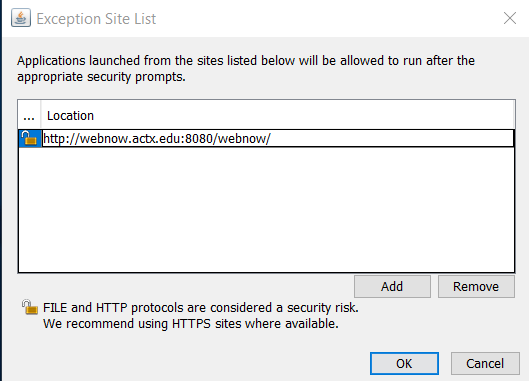 Click the checkbox for I accept the risk and want to run the application. Also click on the blue button labeled advanced options. 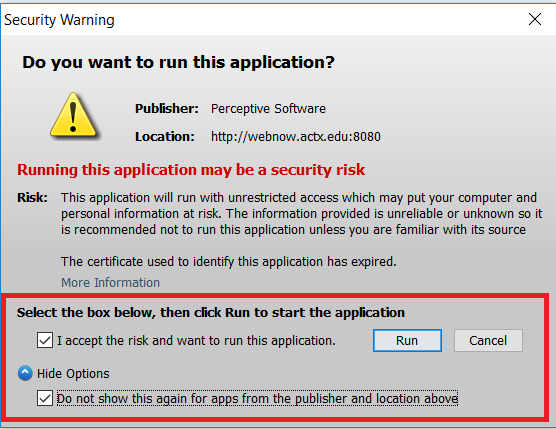 Be sure to check the box that says Do Not Show this again for apps from the publisher and location above. Click Run. The WebNow login screen should now be available.